Yardage - Whole Yards Only Note ! If you need more than the 6 Yards we currently have in stock, please make a different selection as additional yardage is not available. In stock yardage is typically shipped within 2 business days. Please use this link to browse for Similar Selections. 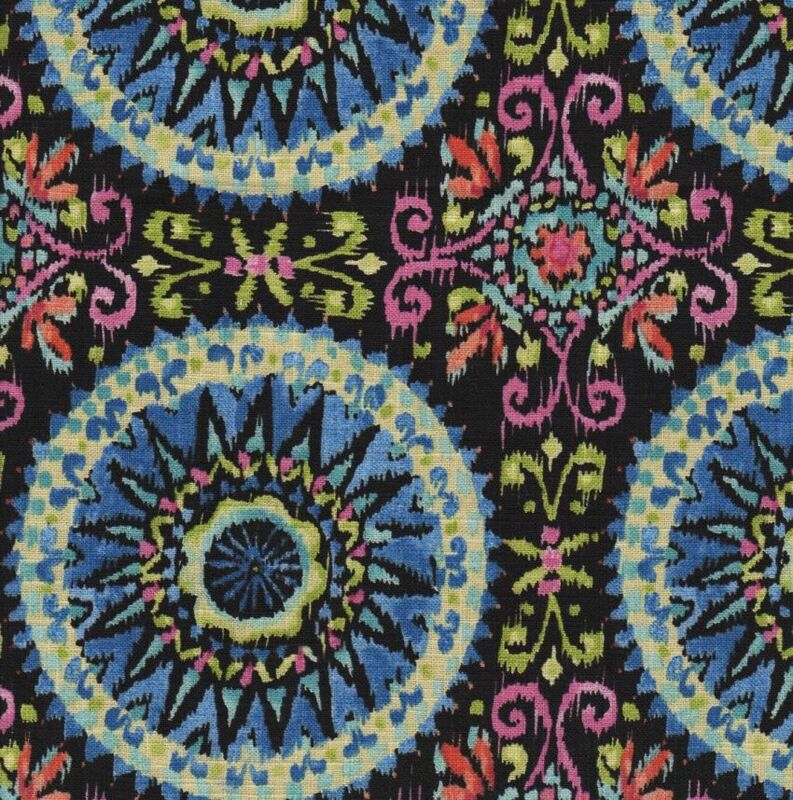 Dena Home Give It a Whirl 900300 Fiesta from the Fresh Canvas collection is a colorful, full coverage design that has the look of a Suzani pattern. Printed on a linen and rayon print cloth, shades of Cornflower Blue, Cream, Pale Green, Pink and Deep Coral are showcased against an Ebony background. The circular designs measure approximately seven and one half inches and the overall pattern repeat is nine inches both Vertically and Horizontally. Give It a Whirl is suitable for drapery, curtains, cornice boards, pillows, cushions, table toppers, room dividers, bedding, headboards and furniture upholstery.